I post quite a few of my culinary creations on the FB fan page and inevitably in the comments there will be "Give me the recipe!" So that's exactly what I'm doing today. 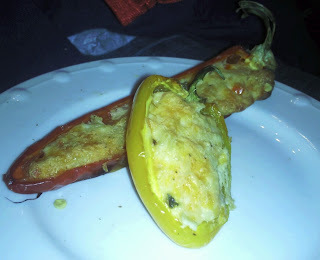 The recipe is easy, definitely WLS friendly, low carb, and even the normies in my life like it. Here we go! Let the ingredient round up commence!! Available at Costco or Sams. Great for quick meals! Available at Costco or Sams, too. Preheat oven to 350. In a bowl add all of the cheeses and the garlic and blend until mixed. Next take the chicken, mince it and add it to the cheese mixture. At this point you can add in the minced jalapeno if you chose to use it. Mix again. Take peppers and cut lengthwise. Carefully remove the seeds and any ribs as they can impart a slightly bitter flavor. 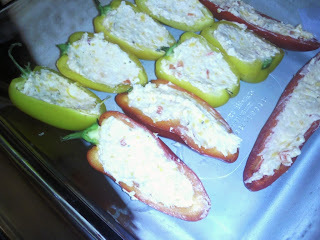 Using a spoon, fill the peppers with the chicken and cheese mixture and place them in the baking dish. They look absolutely delicious! I look forward to trying these soon! I need some of these in my life. They are really easy yall. 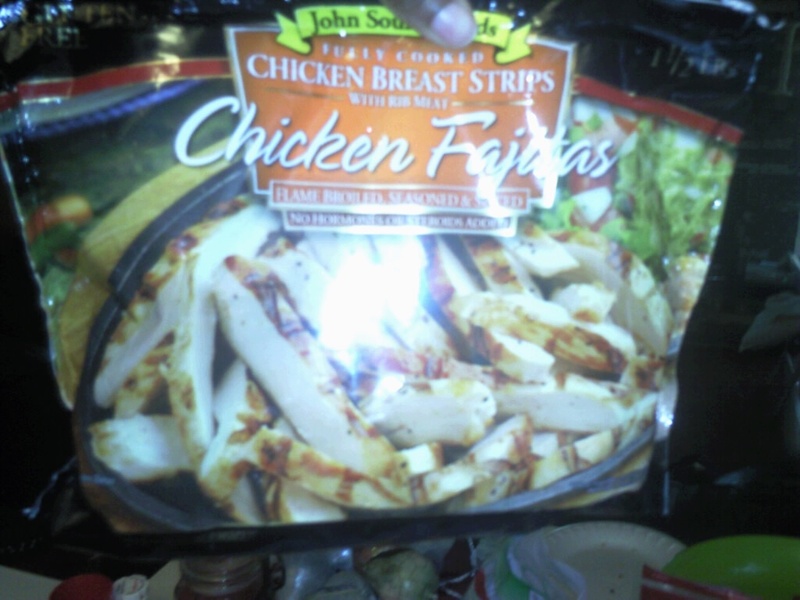 You can even omit the chicken and they are STILL good. 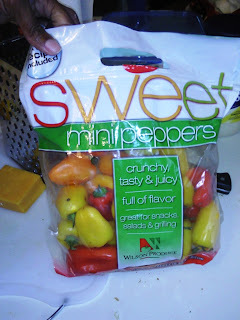 I love those little peppers. I will definitely keep this recipe in mind. It looks like I have most of the ingredients except those lovely peppers. I had them in my hand at the grocery store. I am going away and not purchasing too much produce. It would just go to waste with my husband at home looking for cold cuts!